I absolutely love reading the verse from Proverbs 22:6, "Train up a child in the way he should go, and when he is old, he will not depart from it." This is such a popular passage from the Bible and for good reason, too. I am a firm believer in what it says, and that is why I made it a priority to teach my son about the gospel very early on. 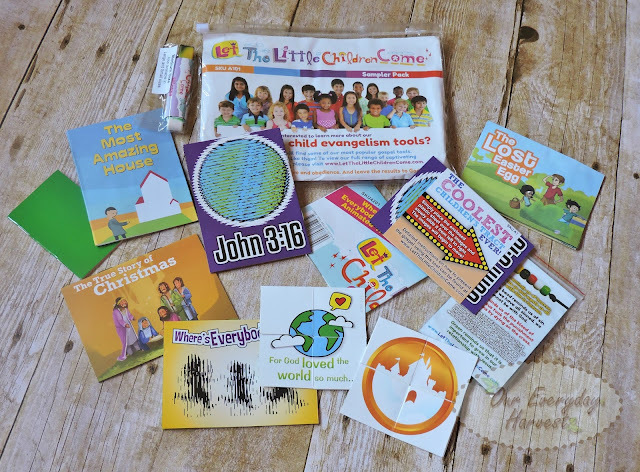 We do this by talking about God, reading the Bible, and other age appropriate activities to help deliver His word. 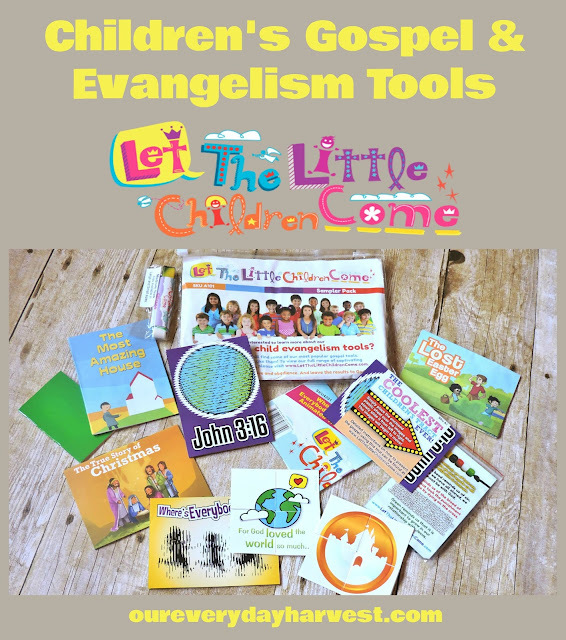 We've recently been blessed with a Gospel Tracts and Evangelism Tools Sampler Pack from Let the Little Children Come, and I have to say that this is such a fantastic set of tools to help convey the good news of our Lord and Savior, Jesus Christ. 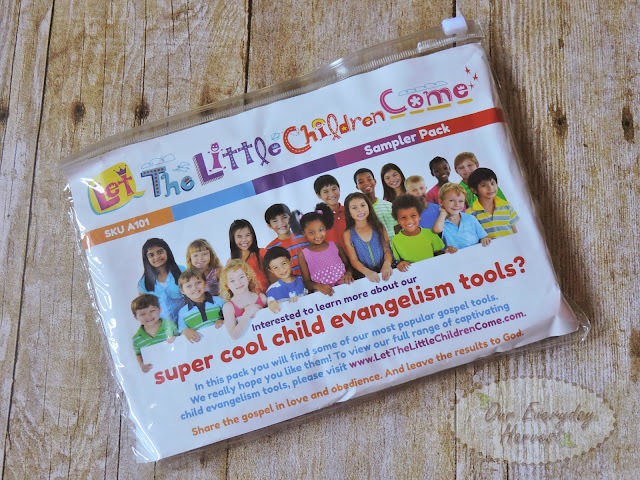 Let The Little Children Come is a company that creates unique evangelism tools and resources for children. Each product that they offer is specifically designed to appeal to kids of all ages, all while teaching the message of the gospel. We initially started with the most familiar item, the Pop-up Tracts, and then worked our way through. The Most Amazing House is a precious story that speaks about the beautiful "house" that God has prepared for each of us in heaven and how we can't get their on our own, only with the help of Jesus. The Lost Easter Egg begins at an Easter egg hunt where children can't seem to find the last egg. 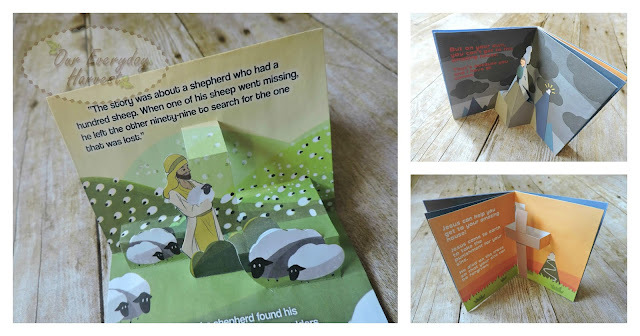 As they search for it, they are suddenly reminded of the Parable of the Lost Sheep found in Luke 15. What I specially enjoyed is that the back of each booklet contains a special prayer to Jesus, so that children can confess their sins and ask Him into their heart. We then moved on to our FlipAbouts. These were a little tricky at first, but our sampler pack also came with directions, so we were soon on our way to figuring them out. These are small folding mechanisms that tell a story of the gospel. There are four sides to each one. You start on one side and fold them a certain way to reveal a new picture each time. 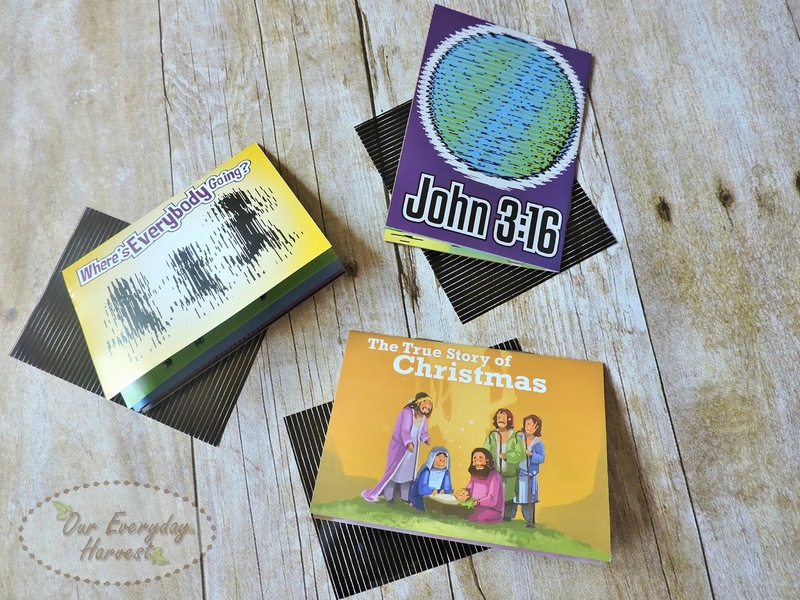 The John 3:16 FlipAbout reminds little ones about God's love for the world that He gave His one and only son, Jesus Christ, so that we will have everlasting life. 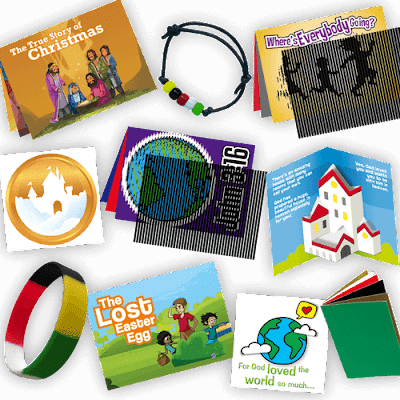 The Gospel Buttons FlipAbout is actually wordless. At first I made up a story with each picture as I shared this with my son. 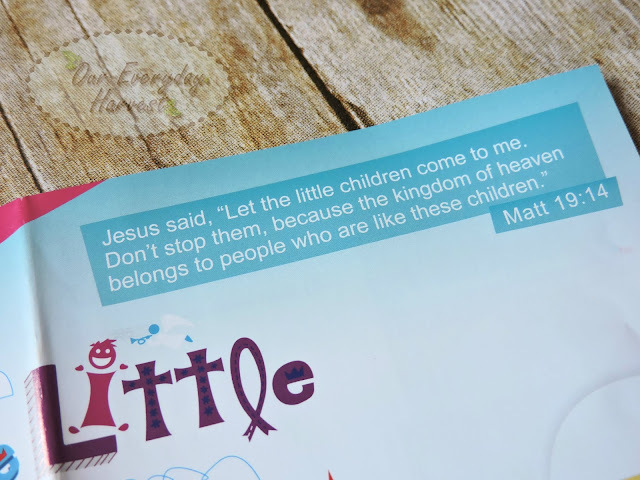 Then I realized the Let the Little Children Come website actually shares what each illustration means. Funny thing, I was pretty much on point with the story I actually made up, so there was no confusion or need to back track each meaning. The Wordless Bracelet Kit was fun. It comes with all the pieces you need to create a beaded bracelet. 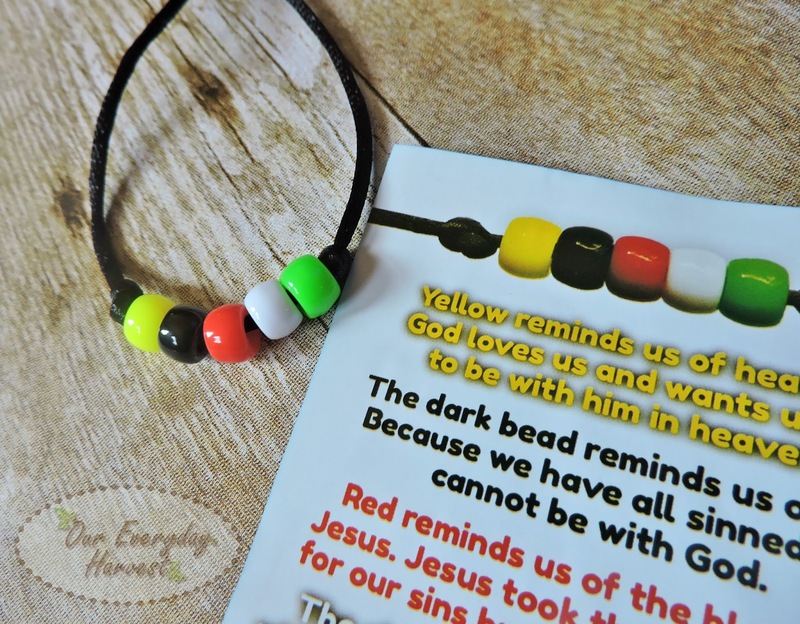 There are five colors on the bracelet and each one represents a teaching from Christian doctrine. As we put this together, we read the meanings of each color. The Silicone Salvation Bracelet also displays the same five colors. Green represents our growth in the Christian faith and our relationship with Jesus. I really like these and feel that they'd make a great conversation starter (even for adults) to help witness to strangers as they inquire about what the different colors mean. 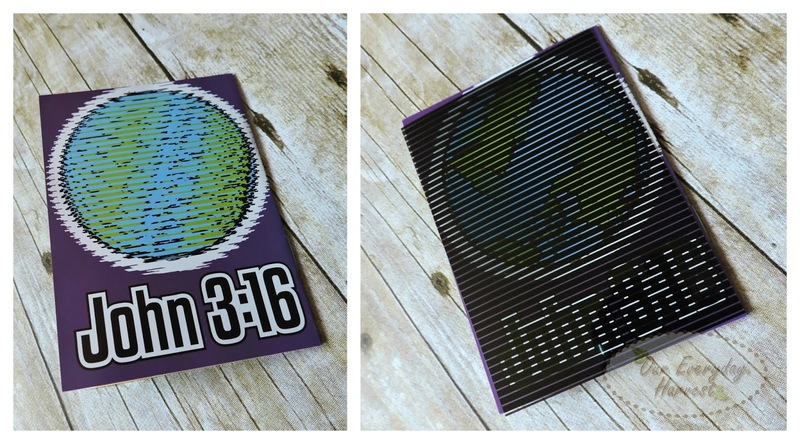 Last, but not least...although one of my son's favorite items in this sampler pack, the Animated Tracts. Oh how we played with these for hours and hours! You take the striped plastic sheet and place it over the illustrations and slowly move it from left to right. As you do this, the image becomes animated. Ingenious! I had just as much fun with these as my son did! The True Story of Christmas is all about the birth of Jesus Christ. John 3:16 shares the beautiful verse of how God loved the world that he gave His one and only son, that who should ever believe in Him, will not perish, but have everlasting life. Where's Everybody Going? is about God's creation and how much He loves His children and He wants us to all to come to him. 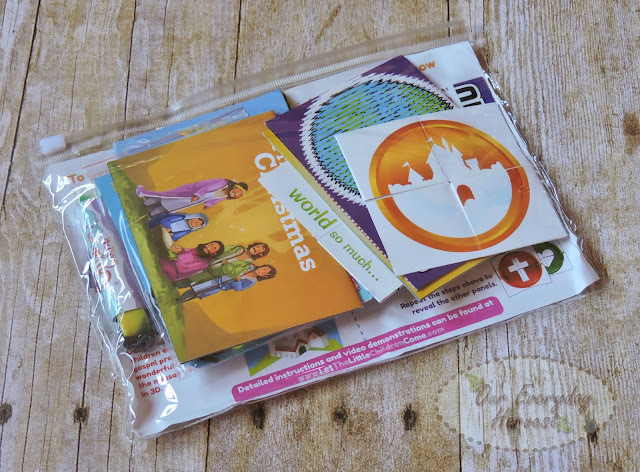 Each Gospel Tracts and Evangelism Tools Sampler Pack is sold as one item, so you could easily purchase this as a gift for someone, or you could also purchase multiple packs for bigger groups of children. There are even discounted rates when you purchase in large quantities. 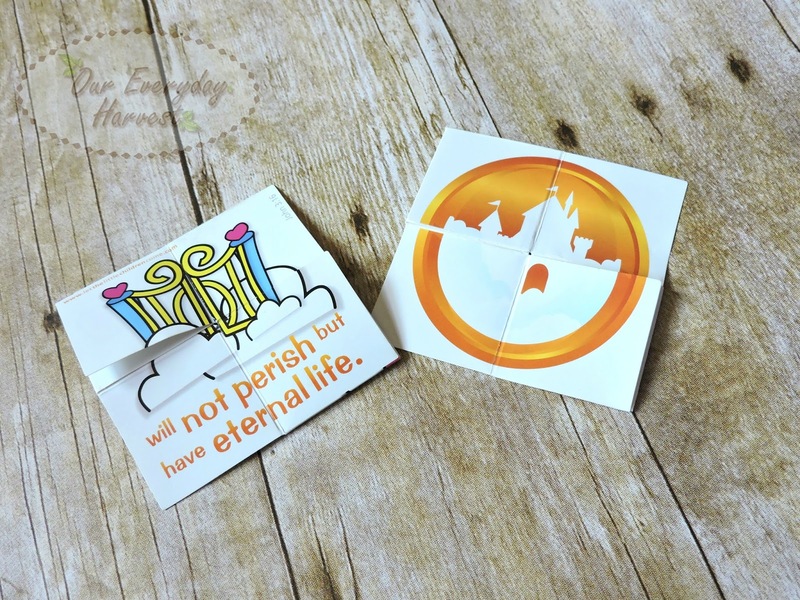 Since each item in the sampler pack can also be purchased separately, you could pick and choose some of them to add to party favors bags for an upcoming event. Have a Christmas party coming up? The True Story of Christmas Animated Tract is a nice one to include. What about a Spring/Easter event? The Lost Easter Egg Pop-up is the perfect choice. 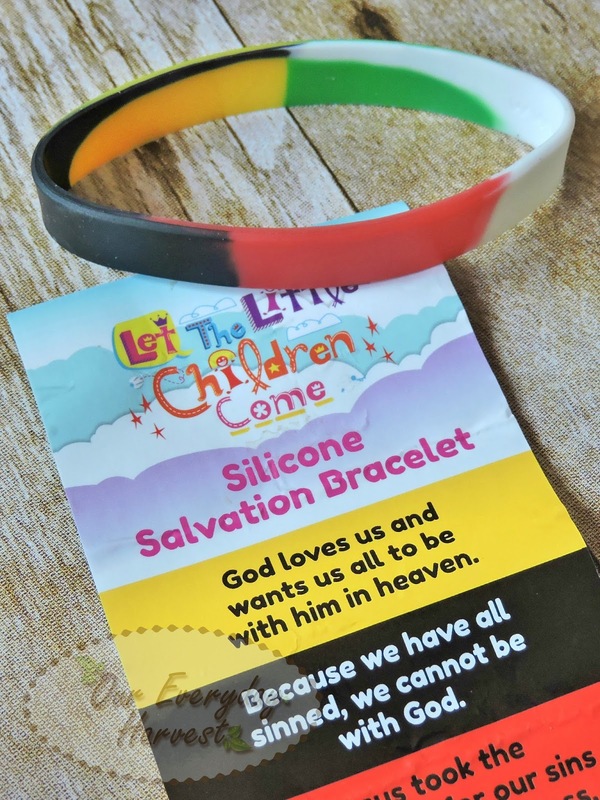 Don't forget to add a few extras, though, such as the John 3:16 FlipAbout or Silicone Salvation Bracelet. 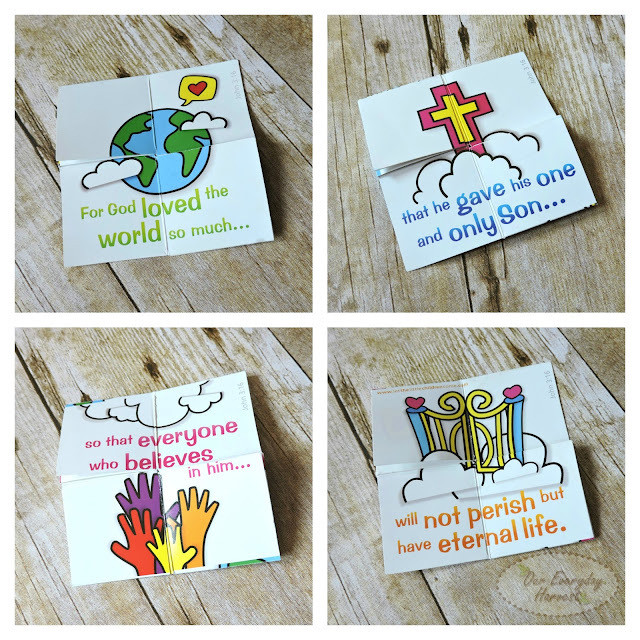 These are also wonderful for a special church or Sunday school event. The possibilities are endless! With that being said, I definitely recommend picking up the sampler pack, beforehand, so you get to experience each item, firsthand. I enjoyed getting a sneak peak of these items, so I now know what I need to pick up for future celebrations. 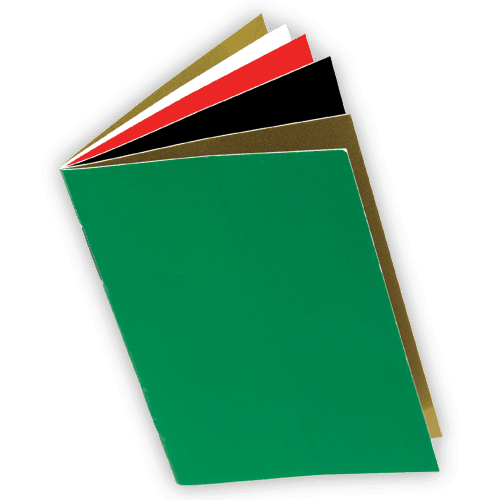 There are many ways in which these can be gifted or used. For me personally, I think the sampler pack would simply make a wonderful stocking stuffer for the holiday season. What better gift than the good news of Jesus' salvation to young children, especially on His birthday! Be sure to connect with Let the Little Children Come on social media to learn more about their children's evangelism products.